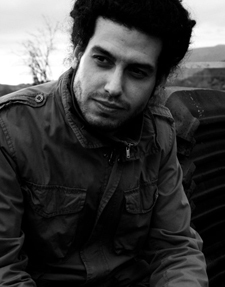 Themis Grammenos aka Themi Undergroove was born in 1981 in the city of Kavala, Greece. He’s been a Dj since 1996 and a music producer since 2001. He took his first music steps having been influenced by techno, house, progressive, acid and chill out music and at the same time he got involved with radio production, collecting and playing his first vinyls. Furthermore, he cooperated with several music teams, either organizing or participating as a dj in various music events in Greece and other European countries. His music productions are influenced mostly by deep minimal and tech-house music. He signed contracts with numerous recording labels, such like as Plus Records (Greece), Soho Music Movement (Greece), Movement Records (Greece), Global Db Records (Greece), Escuro Records (Boston,USA), Imagimocean Records (Florida,USA), Electroclash Records (Spain), Slanted Black Records (Boston,USA), and Nordik Net Records (Italy).